The Task Force on Diversity and Inclusion assembled by Dean Daley, is comprised of faculty, students, trainees, fellows, staff and administrators from across the Harvard Medical School community.Harvard Medical School Diversity Task Force. 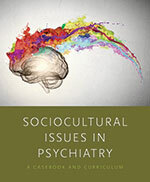 Sociocultural Issues in Psychiatry: A Casebook and Curriculum, edited by Nhi-Ha Trinh & Justin Chen, endeavors to deepen readers’ cross-cultural mental health knowledge & skills to enhance clinical care of diverse patient populations. Congratulations to Zara Cooper, MD, MSc, FACS on her new role as the Kessler Director of the Center for Surgery and Public Health in the Department of Surgery at Brigham and Women's Hospital. 2019 Excellence in Mentoring Awards recipients are announced. Please join us to honor the recipients on May 21, 4:00 – 6:00 pm at TMEC Amphitheater. WATCH VIDEO | The Harold Amos Faculty Diversity Award | Harvard Medical School is committed to advancing a work and educational environment that embraces diversity and promotes and sets the tone for inclusion. Celebrate the culture, history and achievements of African American life with Countway Library and Harvard Medical School, Harvard School of Dental Medicine, Harvard T.H. Chan School of Public Health and student organizations, BSHO,SNMA,NSA,WOCC.